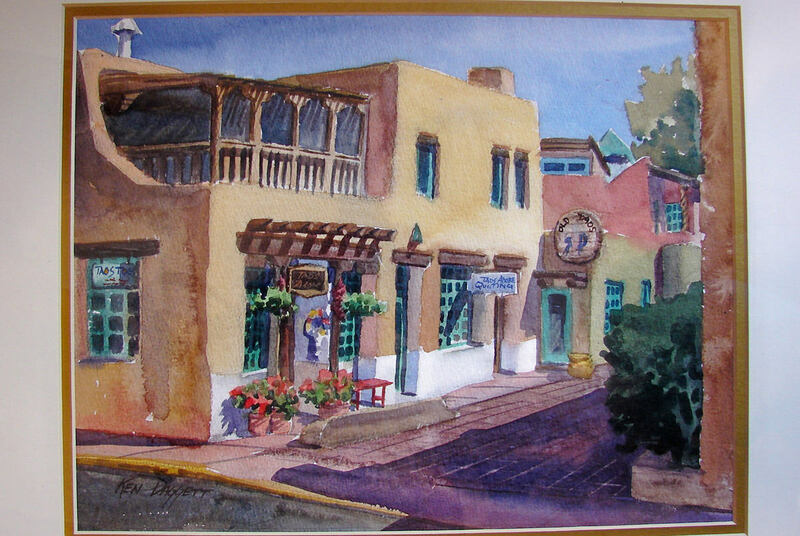 A watercolor portrait of Taos Adobe Quilting, on display inside. We are situated close to the north west corner of Taos Plaza, adjacent and connected to our original store, Taos Adobe. 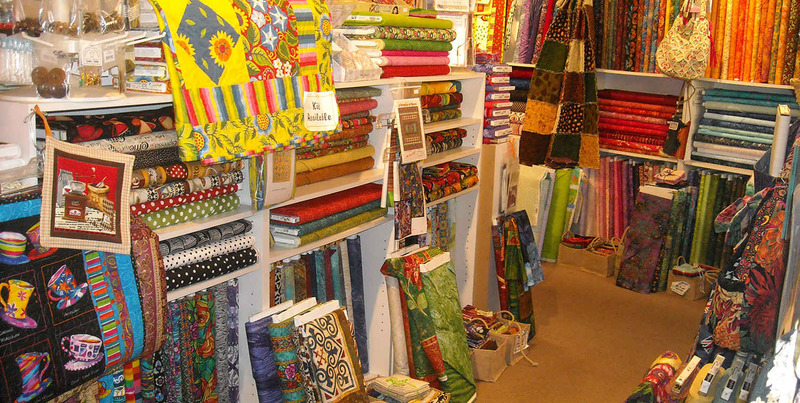 We carry a wide assortment of quilting fabrics – about 2,000 bolts – and feature designs specific to the area. These include collections by local artists and other groups with a distinct southwestern theme. In addition we have books, patterns, notions, kits and lots of fat quarters. A new feature in the store is our rapidly expanding collection of gorgeous upholstery fabrics, many featuring southwestern motifs. Our regular store hours are from 10:30 til 5:00, Monday through Saturday, and from noon til 4:00 on Sundays. In the winter months we often close on Tuesdays, but call us if you will be in the area at a different time and we will try to accomodate you.